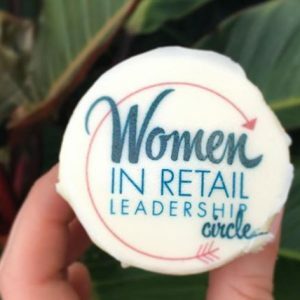 … including the “sale” we’re having on conference passes to our Women in Retail Leadership Summit (April 16-18, Miami), which ends today. That’s right, this is your last chance to save $250 off your conference pass by using the code “WIRLSEARLYBIRD.” Register today before our prices increase tomorrow! This will be the best rate we’ll offer, so make sure to scoop up your Summit conference pass before the end of the day. In case you were wondering what the Women in Retail Leadership Summit is all about, picture this: Three-hundred executive women retailers taking over the Ritz-Carlton Key Biscayne, Miami (literally right on the beach) for two-and-a-half inspiring days filled with a balanced mix of content, including passionate presentations on leadership and professional development from industry peers; think tanks and case studies offering advice and best practices around topics such as retail marketing, e-commerce, digital strategies, branding, and more; and myriad networking opportunities (also mojitos). Fran Horowitz, CEO, Abercrombie & Fitch Co.
Kara Goldin, Founder and CEO, Hint Inc. These are just a few of the awe-inspiring women who will be speaking at the Summit, and they all have the same goal: to help us all connect, learn and grow. Giving Thanks Registration for the 2018 Women in Retail Leadership Summit is Open Greetings From Shoptalk Get Ready for Girl Talks!